The copy machine is an office essential that serves an important function, instant documents photocopying. There are two types of copier machines available, stand alone copier or the ones that come as part of an all-in-one printing machine. Over time, due to age, overuse and wear and tear your copying equipment will lose its efficiency and the performance will decline. However, a well-maintained copier would last long and will function at its prime longer than the ones that are poorly maintained. Once the equipment starts malfunctioning and inner parts get damaged you are either left with the options to pay huge on replacing it or getting it fixed. Even though, a visit to your local copier machine repair service in Vancouver is a cheaper option, here are some things you can do to keep your copying tools performing efficiently. Keeping your copying machine neat and clean will help maintain the efficiency of its performance. It will reduce the chances of major malfunctions and extensive repairing needs. Papers produce small amount of dust and flecks of debris which can gradually build up inside the copier over time. If the inside is not cleaned regularly, debris can pile up and reduce the efficiency of its copying and image quality. You should empty the receptacle regularly to prevent jams. Regularly use a microfiber cloth to wipe the copy glass. You can also apply compressed air to blow away the dust particles from the glass, paper trays and moving parts. You should also regularly empty the receptacle inside to prevent jams. It is smart to cover the copier machine before leaving the premises to help keep dusts away from the machine and keep it fresh and clean. It can be frustrating to have your device jammed during urgent needs. If the machine is jamming frequently, contact your local copier machine repair service to have it examined and repaired. However, there is nothing to be worried about if the issue happens occasionally, as it could be dealt with quickly. If the copier jams, have a look at the digital display. The display will indicate where the jam is occurring. You will need to open all the trays and doors to remove the papers from it. When removing the paper, pulling the papers in the direction it is normally fed. If the paper slides easily in one direction but not the other then there is a jam. Gently pull the papers, rearrange the trays and doors and check to find if the copier is making any mistake while printing. How to Replace Belts and Other Copier Machine Parts? 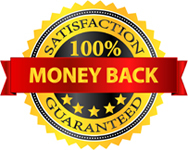 Belt or other part replacing is an advanced form of copier repairing task. These tasks require technical expertise. 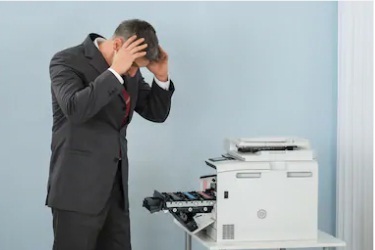 However, if you are willing to do it yourself, try consulting the copier manual to find the due schedule for parts replacement and the specific parts that you need. Once you collect all the spare parts, you need to search through your manual or internet sources to learn how each part is actually replaced.